I was newly pregnant with a baby girl, standing at a BabyGap check out counter. The saleswoman looked up at me, her thick acrylic nails toying with the ends of her permed, bleached hair. “You think?” I responded, trying to force some semblance of easy, breezy nonchalance into my tone. (Even I know when it’s best to keep my mouth shut.) She gave me a knowing look, wrapping up the 3M-sized lime green fleece sweatsuit with its matching striped turtleneck and bomber hat. This would be my daughter’s first outfit. It was from the boy’s department. Walking out of the store, bag in hand, I couldn’t help but shake my head. Contrary to her warning, I knewexactly how I would raise my girl, starting with challenging every gender stereotype I could find. I WAS NOT GOING TO BE THE MOTHER OF A SELF-ABSORBED, EMOTIONAL, DRAMA-SEEKING, DISRESPECTFUL, MATH-HATING, GLASS SLIPPER CHASING, SPOILED TEENAGE GIRL. The thing is, the stereotypical teenage hellian warning is something we’ve all been programmed to accept our entire lives–from books, movies, friends, waitresses in restaurants, strangers in the park, the clerk at the grocery store, other parents. Did I mention other parents? Because they were the worrrrrrst. It’s a given, right? Bratty girls are as American as apple pie. (But seriously, they are. It seems to be a pretty clear American phenomenon. As someone with a Japanese father and a German mother, I never would have dared, though most of my friends did.) All I knew was that I could care less about all that sugar and spice BS, I’d be damned if my teen wasn’t going to be nice. Now that my baby is a 17 year-old senior, I can safely (and proudly) say that I’m the mother of a really fantastic teenage daughter. She’s smart, strong-willed and kind, but never disrespectful or ungrateful. And this I know for sure: she’s no sweet, timid flower of a girl. SHE’S THE WHOLE DAMN BUSH, (COMPLETE WITH THORNS) —COMBATIVE, OPINIONATED, LOUD AND FUNNY. Get your SH!T together before you have kids. The funny (and frustrating) thing about kids is that they do what you do, not what you say they should do. And they will mirror your behavior at every opportunity, throwing it right back at you when you least expect it. When they’re young, kids don’t know any better but as they head into their teens, they can smell inauthenticity and manipulation a mile away. If it’s always been about you, it will be all about them when they’re teenagers. If they’re emotional, disrespectful, self-centered, manipulative, insecure (you pick the adjective) and don’t make time for you, chances are they learned that behavior directly from you. Confident, emotionally intelligent adults raise confident, emotionally intelligent kids. Respect is required. But guess what? If you want them to respect you, you have to respect them, too. (Mind blowing, I know.) It means respecting their opinions, time, privacy, and decisions, even if you don’taaaaaaalways agree. Take the time to really try and understand your daughter’s point of view. A confident teen was a child who was valued, listened to and included as an equal member of the family. You want to practice children should be seen and not heard? Then plan on being seen and not heard as the parent of a teen. And honestly, quit lecturing. Sometimes you just have to let them figure it out for themselves. Create real, open dialogue. 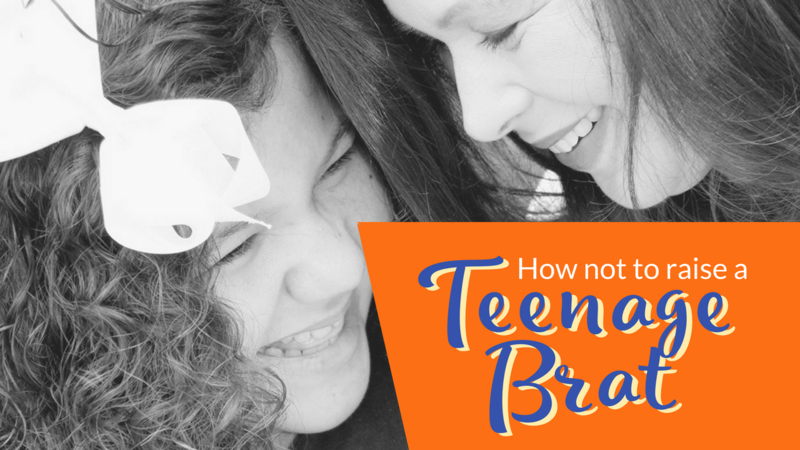 It’s no big secret that kids lie to their parents to avoid freak outs over (relatively) minor things, but it’s important to be honest, authentic, and OPEN with your daughter. Open means that you put the lectures, judginess and false morality on hiatus and stop talking and just LISTEN. For example, I had real, brain-racing anxiety about my daughter driving. I constantly pictured every possible nightmare scenario, most of them involving a solemn-looking police officer knocking on my door. Initially, my daughter thought I didn’t trust her to drive, but once we talked it out, she realized that it wasn’t because I didn’t trust her or want her to go out and have fun. It was just the fear of not knowing where she was and worrying that she was safe. As a result, FindMyFriends is now my friend, and we’re better off for it. Time with family is not an option – Bottom line, teenagers are there for family dinners, social events with other families or relatives, day trips and vacations, just like when they were kids. If your teenager isn’t excited about spending time with her family, it’s time to have a chat to find out why. Obviously, sometimes they’d rather do things with their friends, but ultimately, it’s about showing up, joining in with the family, and having a whole hell of a lot of fun together. When your daughter is a teenager, you still have control. When she’s an adult, you won’t, so show her now how important her family really is to her and how important she is to her family. Spend time, not money. They don’t care about the stuff. They care about feeling valued and worthy of your time. My daughter had a friend who’s mother was never around, and would compensate by buying her stuff cluttered with designer labels to assuage the guilt. It was a buyout, passing over expensive bribes so her daughter would agree to be the pink-wearing, ballet-dancing, perfect daughter her mother believed would elevate her own standing in society. It was more about the show and what other people thought than who this poor little girl ever really was. I don’t think they ever spent a day together that didn’t involve shopping or pricey restaurants. I don’t think they ever talked. And the more the mother lectured, the more her daughter rebelled. So often I see mom’s living their lives through their kids. Either they didn’t have the opportunities their daughters have or they feel that their teen’s achievements are a direct reflection of them and their parenting. Spreadsheet in hand they’re determined to get their child into the right elementary school, the right high school, the right college, the right career – their definition of success is so narrow. They never once take the time to figure out who their child really is. Instead they force them kicking and screaming into tutus and leotards when all their child ever wanted was to run a soccer ball or music lessons when there’s no passion or ability. Think about it, how in the world can that ever breed confidence in a child? Honoring your daughter’s values matters. Your most important job as the parent of a teen is to help her to find her own superpower. Beyond all this, you have no idea how much your daughter can teach you if you let her. My daughter values music. There is not an hour that goes by where she’s not spending her free time listening to, writing, arranging or singing music. Coming from a family of musicians, I want to value music but no matter how hard I try, I just don’t. It’s distracting and makes it hard for me to think or focus. Whereas my daughter can’t drive without music, I can’t drive with it. Worse yet, her favorite genre of music is hip-hop. Yes, misogynistic, violent, profane hip-hop. If I had had a blanket policy to refuse anything related to hip hop I would have never learned that there are hip hop artists who promote positive messages about racial identity and social inequality and that schools like Harvard, Columbia and Stanford are leaders in this field of study. My daughter has a passion for hip-hop. By giving it a chance simply because it was important to her I allowed her the freedom to discover who she really was and what she valued irrespective of what I valued which can’t help but further strengthen our bond. I also learned that I love Kendrick Lamar. Trying to find your soulmate? Struggling with the career path you're on? Kids leaving the nest and you're wondering what's next? Click the button below for ACCESS to your FREE Decision Decoder. The Core System: How to Make ADHD Your Superpower? The Core System enrollment is now closed. Doors will open later this season. 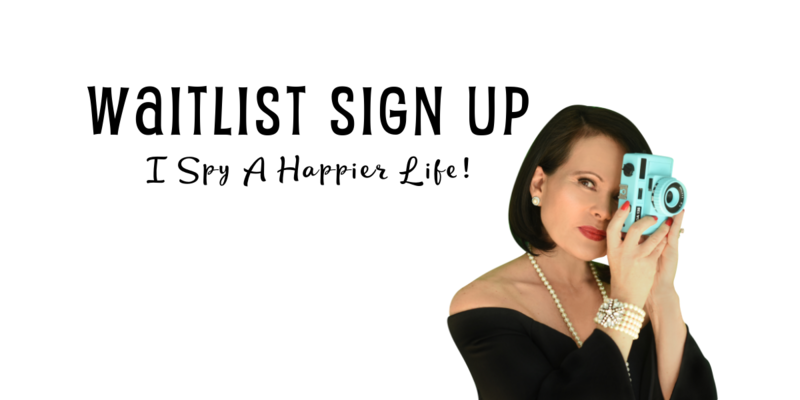 Join our waitlist and I will personally send you an email when we're open again.